Echinacea (also known as Echinacea purpurea) is an herb that is native to North America. Both the roots and the above-ground parts of the plant have been found to contain substances that stimulate our immune system and help fight off infections. In particular, studies have shown that taking echinacea while suffering from a cold or flu can help decrease the duration of the symptoms by up to two days compared to other treatments. For general immune system stimulation (colds, flus, nasal congestion, or upper respiratory infections) as well as urinary tract infections, boil 1 to 2 grams of Echinacea root or herb into a tea and consume it after one meal each day for up to two weeks. Alternatively you may substitute the tea with Echinacea capsules or tablets (approximately 300mg), or other forms of the herb such as tinctures or powders. Echinacea has been found to be effective at treating slow-healing wounds and skin infections such as boils. You can drink an echinacea herbal tea once per day, or apply Echinacea creams or ointments directly to the infected surface. For most people, Echinacea does not cause any major side effects. However, individuals that have an existing allergy to plants such as ragweed, marigolds, chrysanthemums, or daisies may also experience allergic reactions to Echinacea (such as skin rashes). A more common side effect of Echinacea use is minor gastrointestinal problems, as well as nausea or dizziness. If you notice any of these symptoms or are unsure if you should use Echinacea, it is recommended that you consult your doctor. Echinacea is not recommended if you are pregnant or lactating. Since Echinacea boosts the immune system, it is not recommended if you are currently taking immunosuppressants. Immunosuppressants are often used to treat cancer or suppress the immune system following an organ transplant (so that the new organ is not rejected by the body). 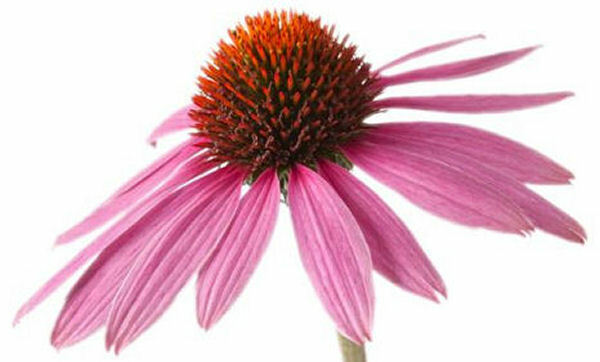 Echinacea is available in extracts, tinctures, capsules/tablets, and ointments. It can be found in most natural health stores and pharmacies. Stay away from fast food which lowers sperm count drastically. If you are a vegetarian, you may need to get some iron. Soy is not always good for men. Also there is a cleanse you can use for any infection, which also brings inflammation down. Simply take your body weight and cut that number by half and use that number to measure ounces of water. For example, if you weigh 100 lbs, half would be 50, so you measure 50 oz. of water. Take this water (which would be 50 oz., if you are 100 lbs) and heat it on stove top, DO NOT MICROWAVE, and drink it everyday for two weeks. In between every glass of water wait for 10 minutes until you finish drinking. Do not add anything to water (no lemon, no cucumber, and no flavour). This is an Ayurvedic treatment for cleansing. Hi, my name is David Eguavoen, I am a 32 years old Nigerian. I am married for two years now. I went for a medical check up, and was told that I have an infection which have affected my sperm. I was also told that I have low sperm count and urinary tract infection. Please I need information on how it can be cured?